My Cooking is Killing My Sheep! 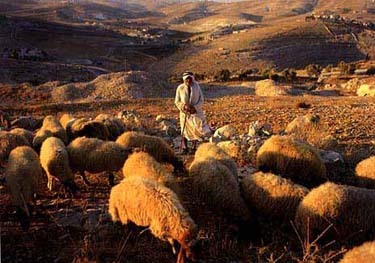 Jesus told Peter to “feed my sheep.” That responsibility falls upon us as a believing community. Yet Paul reminds us that we all have different gifts. One of mine is surely not pastoral care. Mind you, I did some graduate work in this area, but it’s not my forte. I screwed it up, as they say. You will remember that I spoke about finding some bloggers who were in transition, having freed themselves of fundamentalism. They were in deep pain, struggling to retain a faith that had lost it foundations. I felt that my offerings were not helpful. Yet one commented on that post and I felt encouraged enough to continue. I should have left well enough alone. I have not the right words it seems, or the right attitude, or something. In point of fact, I think I misunderstood the “place” of the other person. I negligently thought I saw a person still struggling to retain faith. Rather I think I found a person who rejected fundamentalism in its interpretation of the bible, but accepted its underlying threat: It’s all inerrant, or you have no reason to accept any bit of it. This is the constant and insidious ugly side of fundamentalism. Not only does it convince that a book is God, it convinces that if the Book isn’t God, there is no God to be found. Most of the other commenters on this post are agnostics or atheists, so they were challenging me as well as supporting the doubts raised by the poster. Trying to argue a person out of agnosticism or atheism, especially when it is newly acquired is a worthless proposition. But it did get me to thinking. How very different my own journey. While I knew plenty of Catholics in my young life, they were never ones to speak of their faith. It just wasn’t done. When I did learn anything about religion and God, it was from a fundamentalist point of view. This was true through my early 20’s and through my 30’s. 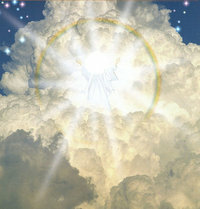 For, intuitively I knew this: God had to be at least as perfect and beautiful as ANYTHING I could create in my own mind. I suspected God was much more, but the Creator MUST be at least that perfect. I was merely a person, with a reasoning brain after all. So reason, before I knew a thing about real theology, was a hallmark of believing. Remember, I am the one who, upon learning that there was no Santa Claus, placed God in the same category. Wispy magical imaginative whispers of non-reality. 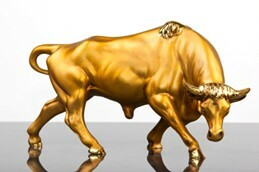 Nice, but not real. We had a lively conversation, and I left assured that my common sense and reason would never be assaulted by the strange child-like machinations of fundamentalist demands. Since that time, I’ve studied under priests and other nuns who were theologians and biblical experts, some in the Roman tradition, and recently in the Episcopal tradition. They, individually, studied in some of the most respected and intellectually rigorous universities in the world. I was never asked to accept their beliefs. I had the benefit of their scholarly learning, but one thing that all of these fine men and women taught me, was that questions were never bad, God was big enough to handle them. And moreover, I understood, whether said directly or by implication, that the hallmark of a mature faith was one worked out individually. I have come to see it this way: God is like a key hole. We are the key. Yet, we are a key blank at the beginning. Our experiences, study, prayer, and so forth serve to try to create the key that we can place in the lock and turn. We work at this, making it sometimes jiggle, turn a bit, turn more, stick. We withdraw it at times and look it all over again. We hone, chisel, sharpen. Over time, with effort, we begin to unlock God. Jesus, of course, was a perfect fit. Perhaps Buddha was as well. Others, those we revere as great mystics and teachers, have got the lock almost open. Once open, the kingdom is ours, today. Jesus tried to explain to us how to do this. He showed us “the way.” But there are other ways, I think, since I dare say the Dalai Lama thinks the Buddha’s way is such. This is a God I can love, and revere and work hard to emulate. This God, who joyously provides all his sentient beings with keys, calling them to fashion themselves in his image. Some wonder why it is hard? Should it be easy? What can we possibly learn if it is handed to us on a silver platter? No, we become Christ-like by the struggle. 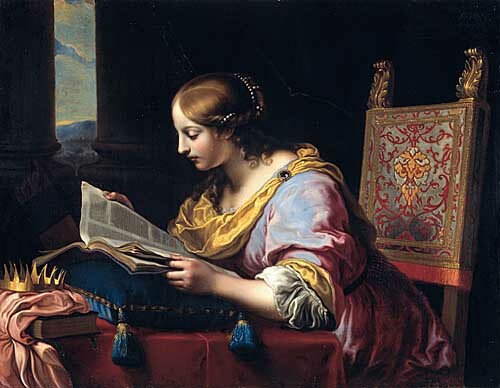 Study is my joy, teasing out the delicate threads of real value in sacred scripture. Sacred? Yes indeed, for all was wrought by believing minds speaking their truth as carefully and completely as they could. Confound it, but I cannot speak this in a way that convinces the unbeliever. I preach to the choir only. It is my frustration. Is it yours? Originally posted at A Feather Adrift. Today I review the second in the new Belief series published by Westminster John Knox Press. 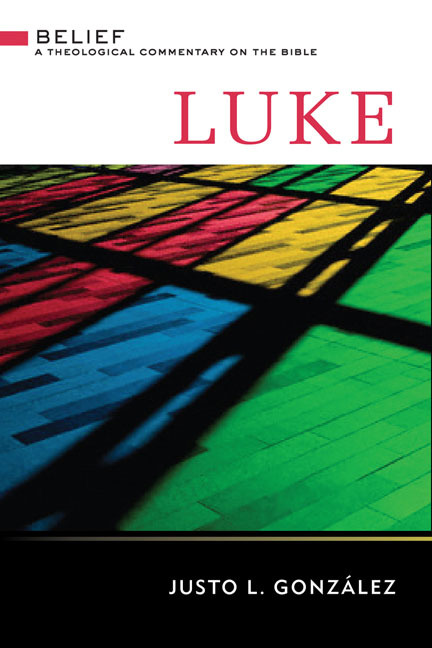 Luke: (Belief: A Theological Commentary) is written by Justo L. González. Again, I give my deepest thanks to WJK for giving me the opportunity to participate in reviewing this extraordinary series. 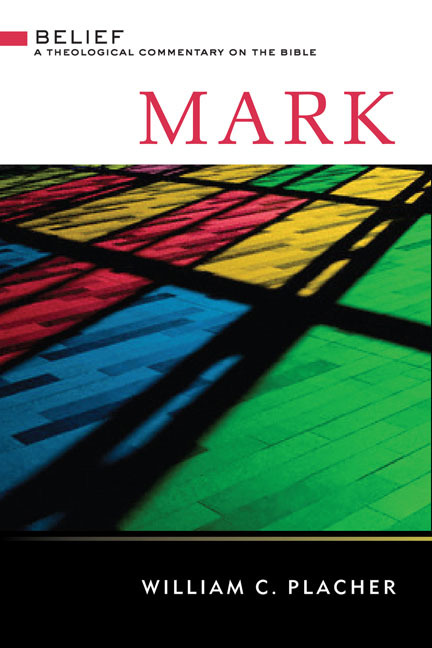 If Plachter’s book on Mark was excellent, this second offering by González, meets that standard in every way. While Plachter perhaps placed more emphasis on the exegetical-historical aspects of the gospel, González focuses a bit more on the theological implications of Luke to our world today. All good interpretation of the Bible is contemporary. If it were not so, it would not be good. . . .The Bible is not on a par with the subsequent interpretation; it is above it, as the text is antecedent to the commentary. And the interpretation is always an interpretation for the time in which it is written or spoken. There is also a distinctive flavor of liberation theology which permeates the text. This also seems logical to me, since any fair reading of Luke renders the conclusion that Luke portraits a Christ who favored the poor and the marginalized as the true inheritors of the Kingdom of God. Paramount in González’s theology of Luke is that the evangelist emphasized above all that Jesus’ teaching was one of the “great reversal.” His teachings were indeed revolutionary to his world. His was a world of power held by Rome, of patriarchy, of Temple priests and church hierarchy. His teachings again and again told of the coming Kingdom where none of this would be so. The poor, the marginalized, the unclean, the unwanted, the unworthy, the sinners, the children, the women–all these would find a new world in God’s Kingdom, one in which those who were served would serve, those first would be last, those most religious and pious would often find themselves judged less than the most simple of the country folk of Galilee, that most marginal of lands. In fact, Mr. González suggests that if one were to remove all the “reversal” stories from the text, there would be few pages left. Perhaps the most stunning theological commentary comes with González’s explanation of the Paralytic. He shows how Luke weaves a story of how the teachers and scribes, the Pharisees sat around listening to the teachings of Jesus. The friends of the lame man could not get through the crowd of the listeners to reach the Healer. The end up opening the roof to lower the man to Jesus inside. González reflects on these “circles” about Christ that we as church construct. We sit as pious listeners before the Word. We block the way for those who come in need of healing and comfort. He points out that these people are not necessarily bad, but in their zeal to be at the forefront, they (we) block the way of others. We are cautioned to open the doors to those who are marginalized outside the circle. These are the people Jesus most came to help. Of special importance to me, are the continued references to Jesus’ table hospitality. Too many of our churches set themselves up as arbiters of who is invited to the table of Christ. Any fair reading of Luke, suggests this is a grave error. Time and time again, as González points out, Jesus welcomed the sinner to the table, and did not require any repentance as a condition to the invitation. He teaches that we should be inviting those who cannot repay our offer, instead of those who will extend a return invitation to ourselves. There is example after example of gentle, and not so gentle reminders to us as readers, that the Gospel of Luke calls us to a discipleship that is not easy, and not comfortable either. Luke tells of a Jesus who comes not preaching so much an afterlife of bliss but a life offered that is truly life. A full life, filled with the Spirit, faithful to God, bearing the cross of discomfort with the joy of knowing that we are doing God’s will as did He who was his image. Is this the final reversal? Such questions as these do we ponder as we read this most excellent book. Do buy it. You will not regret the decision. Matthew tells the story of how Joseph in a dream is told to take the child Jesus and make haste for Egypt to protect him from Herod who has designs to kill the child. After Herod’s death, Joseph is informed again in a dream to return home. He does so but finds that Herod’s son, Archelaus, is now ruler so he journeys not home but to the neighboring region of Galilee, in Nazareth. 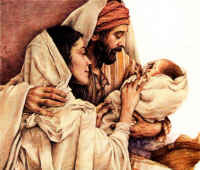 We learn that Joseph is the epitome of fatherhood, taking his son and wife to new lands to protect them and then being cautious upon return, keeping a “low profile” in a small backwater town, called Nazareth (can anything good come of Nazareth? indeed!). Most of us can relate, knowing that our parents too would have done whatever was necessary to protect us and keep us safe. The other readings are more problematical. In Ecclesiasticus, we are told that the offspring should honor father and mother, indeed our sins are forgiven as we do so. We will have a long life if we respect and serve our parents. Even if they suffer from a failing mind, we are to be sympathetic and kind. These are fine words of course. The readings leave out the end of this chapter which accords one who does not honor parents as no better than a blasphemer and one who will be accursed. These are harsh and punishing. Yet what of those who have suffered at the hands of parents. Many people have not been given the benefit of parents. Many have been raised with only one, and that one hard pressed to do an adequate job when circumstances may require multiple jobs just to keep the family afloat. Many have never had contact with the absent parent, and may not even know who they are. Of equal trauma, if not worse are those who have suffered at the hands of physically abusive parents. Whether sexual or not, deep scars psychological and otherwise take a lifetime to heal. And though not given as much press, those who have been psychologically abused by verbal and more insidious mind games, also suffer life-long wounds. What of these? So many of us are the product of dysfunctional families. When you expand to grandparents, aunts and uncles, cousins, the opportunity for abusive treatment are magnified. Are those who are victims of such families to simply forgive, forget, and honor? They would find it hard to do so, and plenty of experts say that asking is unfair. Victims need to confront the hard facts of their torturers and need to confront them and make them face themselves. So the experts say. Where do these victims find solace? How can they read these admonitions to “be respectful” and be anything more than even more hurt and discouraged? I think the pathway can be found by enlarging the concept of “parent.” All of us parent when we interact with another human. We pattern behavior, we offer advice, we commiserate, we empathize. All these are human responses of the same nature as traditional parenting. This idea becomes more apparent when we look at Paul’s (or pseudo Paul) advice to the Colossian community. Paul tells us to “clothe ourselves in compassion, kindness, humility and gentleness and patience.” We are to “forgive when a quarrel begins”. Over all this we are to drape a cloak of “love.” We are to be at peace. Teach each other, advise each other. All this Paul exhorts us to do as a community of believers. As parents, if you will, to each other. While we may not find purchase in our own immediate families with which to relate, we can look to our broader “family of humanity” and realize these same attributes. We can honor and respect our fellow humans. We can care for others in their infirmities and failing minds. We can be gentle and kind to their errors. We can protect our greater family against the errors and dangers they are pursuing by speaking truth with compassion; we can admonish with love, knowing that we too are prone to err ourselves. Paul in the end reminds parents, “never drive your children to resentment” for that will “frustrate” them, inhibiting their ability to honor and respect, as they are called to do. Many in this world live alone. This was not the norm in the times when the writer of Ecclesiasticus, or Colossians wrote. In fact, it was highly abnormal. Large family units of parents, grandparents, sometimes children with spouses and young children inhabited the same household. Yet, we can all respond to the words by seeing ourselves rightly in the family of humanity. No one is alone, we are all interconnected, and the Trinity, though deeply mysterious, at least seems to suggest that God expects for us to live in community, as God does. As Emmanuel (God with us) did and still does. Will There Be Any Faith On Earth? Indeed, what a question. It asks the seminal question to all of us, and for me synthesized a number of things I read, making me wonder, just what is faith? It basically goes like this: If we have no settled doctrine to rely on, then we have nothing but what is the fashion of the day. I can as easily reject your “preferential option for the poor” as you reject church teaching on homosexuality. Where does it stop? To be Catholic is the accept this repository of faith as your foundation. No one is keeping you here. This presupposes I would argue, that there is such a repository of faith that is sacrosanct as it were. Untouched in its basics since the resurrection at least, only added to as we come into a “fuller” understanding of truth. And many believe this is correct–they argue that there is perfect truth, unalterable, and knowable as such by everyone. I daresay that every generation has thought it had the truth. Yet, civilization progresses over the eons and what was normative in 1350 C.E. is not necessarily so today in terms of moral behavior. It denies as well, it seems to me, that the Holy Spirit works ever in the human race to help it, individually and collectively to understand who and what they are and what their life is to be. To suggest that even when majorities of faithful Catholics disagree with the Magisterium they are wrong by definition, is to deny that the Holy Spirit is active in the hearts and minds of each of us. It is to deny, moreover, the value of the gift of intellect, or reason also gifted to us. Are we not to learn from the our pasts and to extrapolate anew, more inclusive morals for our future? 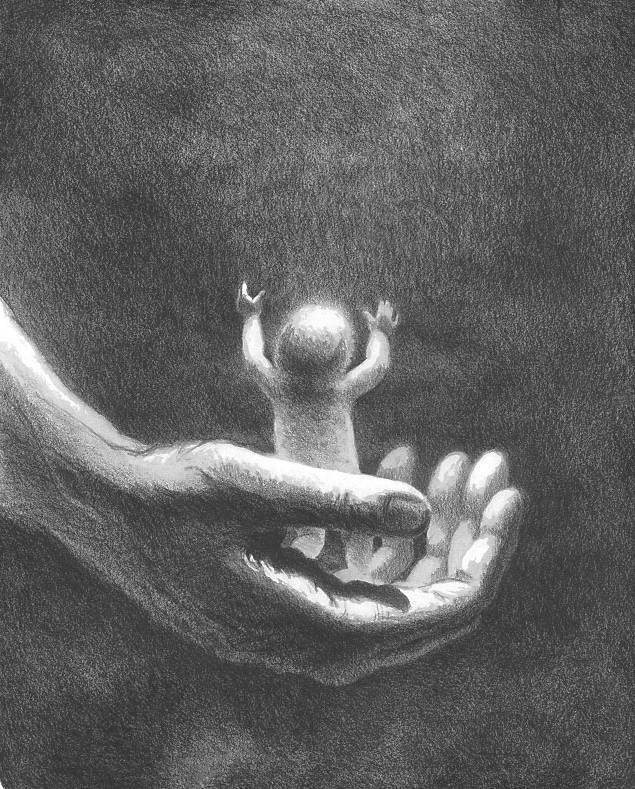 Are we not to draw into sanctity all life as a higher level of love? All because such things were not contemplated in the past? Again we get the presumed “never-changing faith” claim. Does not the Archbishop know that this is not true? Moreover has he learned no lessons from the past? Father Frederick J. Cwiekowski, in his book, The Beginnings of the Church, explained how modernism was condemned by the Inquisition, turned Holy Office in 1908. Modernism, meaning the use of modern methods of biblical exegesis such as form, text, redaction, and other forms of criticism. The determinations made by such methods were condemned. The Gospels were not historical but teaching testimonials, interpretations by the evangelist of what Jesus said and taught. It questioned Christ’s anticipation of the emergent church. It questioned whether the apostles in fact knew of Christ’s deity before the resurrection. The Pontifical Biblical Commission in the years 1905-1915 declared all these things in error and heretical. Such conclusions were bolstered by the encyclical On the Doctrines of the Modernists by Pius X, and again in Spiritus Paraclitus by Benedict XV in 1920. There is evidence they did not understand that Jesus was divine until after his resurrection. The apostles passed down what Jesus truly said and did, but it was later interpreted to the needs of the listeners of the Gospels. None of the evangelists were apostles and they adapted and synthesized the information at hand to the situation of the emergent church. These became incorporated into the final document, the 1965, Dogmatic Constitution on Divine Revelation, (art. 19). There is no truth to the claim that once dogma always dogma. It seems to me, that faith, and being faithful is to be a constant student of what is taught by the Church and constantly to study what is being learned about the bible and its theological underpinnings. It is constant searching for truth, always following heart and mind, with careful and deep reflection. It seems to me that we are all called to this work. It is simply not faithful to simply rely on an institution, no matter how revered as the sole determiner of all things moral and right. 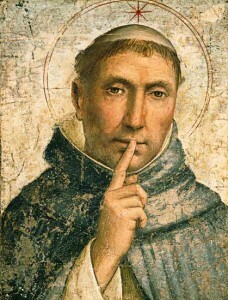 We, as Catholics, as Christians are obligated to seek truth ourselves. Indeed, I do think there will be faith on Earth, Lord, as long as good people of strong believe ever seek to apply the issues of the day to the tenor of your teaching.